If you’re having trouble keeping up with your mortgage payments and think you might be headed for foreclosure, there are still some things you can do to ameliorate the situation. Millions of U.S. homeowners have had their properties repossessed in recent years, so if you’re on the verge of losing your home or have received a foreclosure notice, you’re certainly not alone. Some people go into foreclosure after a long bout of unemployment, or perhaps a loss of a second income. Others fall into foreclosure during or after a divorce or medical illness. 1) Negotiate with the lender. One of the most important things you need to do is make sure you are staying in touch with your lender – don’t ignore their letters or calls. Most lenders would rather here about a difficult financial situation than have to hunt you down for your payment. Let them know why you are behind on your payments right now, and consider negotiating for a better payment plan. It’s in the bank’s interest to get you back on track, so they may be more than willing to work out a temporary plan to avoid foreclosure. 2) Get help from a foreclosure attorney. 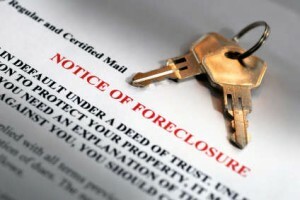 Foreclosure defense attorneys and may be able to help you save your home. Don’t be afraid to seek professional help for the situation because you may have overlooked some solutions that could prevent foreclosure altogether. The attorney may be able to negotiate a loan modification on your behalf, prepare your home for a short sale, and inform you about other legal options. 3) Consider a short sale. If your home is currently worth less than what you owe to the bank, you could negotiate with your lender on a short sale. If the lender agrees to the short sale, they will halt the foreclosure process. This process can affect your credit, just like a foreclosure. But you may even be able to negotiate getting some “walking away” money from the lender. 4) Consider selling your home on the open market. Selling your home with the help of a real estate agent could also be a way out of foreclosure. Find out what the market value of your home is and seek out a real estate agent that offers the most competitive fees – and one that can get your home out there and sold as quickly as possible. This is one of your best strategies for stopping foreclosure when the lender is not willing to work with you for a loan modification, or if it isn’t feasible for you to keep your account current. Needless to say, you have to have equity in your home or your home has to be “worth it’ to a willing buyer in order for this strategy to work. That’s because the buyer will have to agree to a sales price that’s high enough to provide you with enough money to pay off your existing mortgage. 5) Consider a bankruptcy filing. A Chapter 13 bankruptcy filing can prevent the foreclosure process from going through. That’s why many attorneys recommend seeking bankruptcy protection as a way to forestall or completely prevent a foreclosure. Before you try this approach, however, be sure of all your options and consider whether bankruptcy is really worth it. After all, you don’t want to file for bankruptcy if you simply can’t afford the house, and in the long run and you’re just going to wind up losing the home down the road. When it’s clear the home is truly unaffordable, it’s probably best to cut your losses and just let the home go.